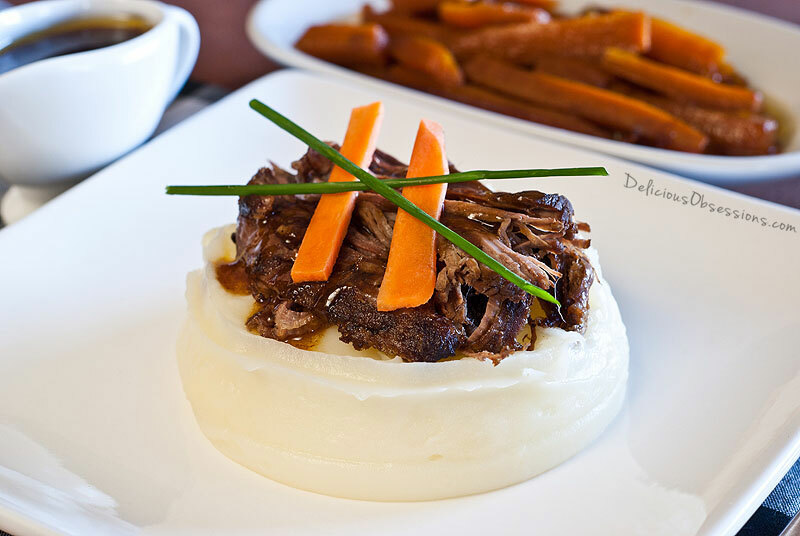 This is seriously the easiest and most delicious crock pot beef ever. It is my go-to crock pot beef recipe because it guarantees that I will have a delicious dinner on the table with minimal effort on my part. Feel free to customize the recipe to suit your own needs. Sometimes I have some root veggies that need to be used, so I chop them up and toss them in about halfway through the cooking period. You can add more seasoning or less, depending on your needs. But whatever you do, don’t stress about dinner. 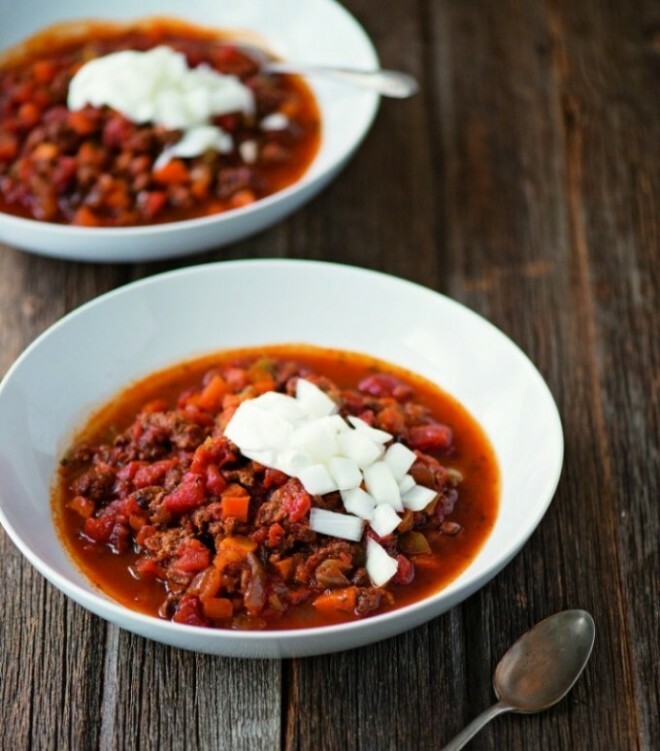 Just toss the few ingredients in the crock pot in the morning and by 6pm (or whenever you eat dinner), you have a delicious meal, ready to go. Serve the beef with whatever side(s) you want. My husband loves it over my cheesy garlic mashed potatoes, so that’s how he eats it (with lots of butter). Since I don’t eat potatoes, I usually eat it with some cauliflower or root vegetable puree or some of my garlic herb cauliflower rice. It is pretty much delicious any way you eat it. The meat is tender and just falls apart. Yum! Oh, and the leftovers are divine — simply divine. I actually think the leftovers taste better and are great on sandwiches, wraps, or just scrambled up with eggs. Shout out to my friend Suzanne from Strands of My Life for shooting the photos for this recipe! Place your roast in your crock pot. Peel your garlic cloves and smash or mince them. Toss those in with the roast. Slice your onion very thinly (or you can dice them if you prefer). Toss those in with the roast. Pour your Worcestershire sauce and stock (or water) over the roast, and add your black pepper. Serve with your choice of side. You can use the broth from the roast to make gravy, or you can just spoon it directly over each serving. The broth is delicious! This looks delicious!!! Thanks for the recipe. thanks for this delicious recipe! what Worcestershire sauce do you use? I can’t find any with good and safe ingredients’ Thanks! I have actually been using Lea & Perrins brand, as my health food store has been out of their Annie’s gluten free for some time now and I had a bottle of L&P that needs to be used. It is gluten free and for the most part the ingredients are OK. I wish it didn’t have sugar in it, but it’s in such a small amount that I am not concerned over it every once in awhile. I am stocking up on the Annie’s brand whenever it comes back in stock! Ohmygosh does that dish look amazing! Suzanne’s photo is stunning. Jessica, which cut of roast did you use? Do you get a commission if I link from your site to Tropical Traditions when I next place an order? This looks amazing. I never used a crock pot that I’ve had sitting here for a while. I always figured the food would just come out soggy and mushy, but this looks very appetizing! 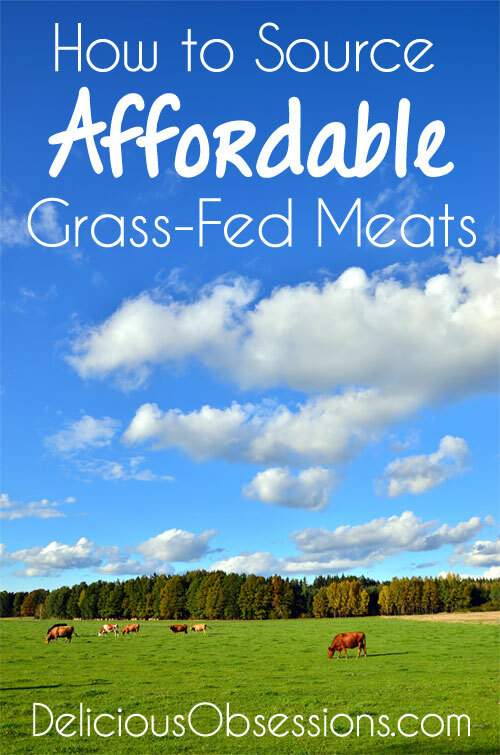 You think topside beef would work just as well? Does it need any vinegar to help tenderize it? Hi Allison – I think that would work just fine. I have not had to use any vinegar on mine, even on tougher cuts. You may just have to cook it a tad longer, but I think it would turn out well! I have a small 1.5 lb roast. How long do you think I should cook that on low in my crock pot? I buy share in a whole cow. We use up the roasts pretty quick but have a surplus of sirloin. Think a sirloin will work here? Different cooking time? 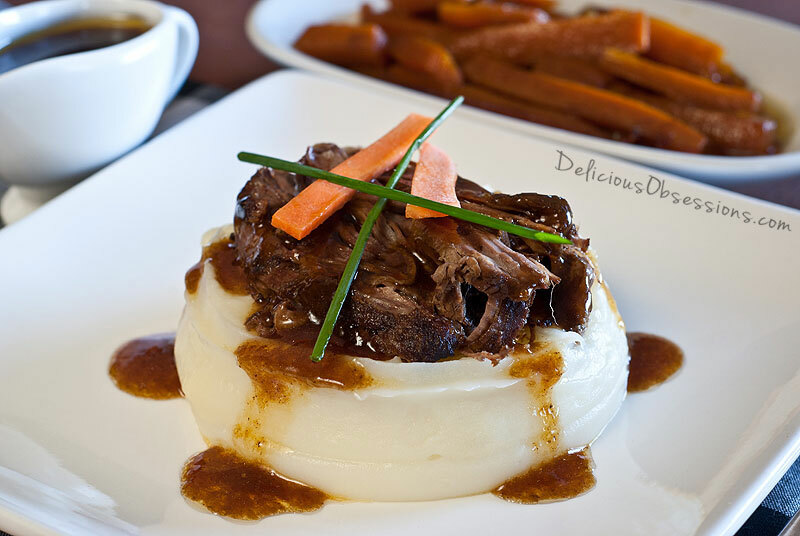 I’m so impressed with this slow cooker pot roast that I’m telling everyone :YOU MUST EAT THIS! I’ve been cooking for a looooooong time, hon and I have to give you big giant props for this recipe. I simply couldn’t be happier. 🙂 I served it with garlic mashed and roasted carrots and rutabaga. Tomorrow,it gets an encore on rolls. Thanks for sharing your version. It truly rocks! How do you shape your mashed potatoes so pretty? Hi Melody! This photo was actually styled and taken by a friend of mine. She can make food look WAY prettier than I can! One trick is to create a mound of sorts and then use a ladle and gently press in the middle of it to create a small indent. Or, hire a professional food stylist. 🙂 LOL! Hi! I just wanted to let you know i made this tonight and it was delicious! The family loved it, it was tangy and rich. I served it with oven roasted fingerlings and carrots. I only made 1 addition, I added 2 TBS corn starch (Argo) to the pot before cooking, it helped make the drippings a little more gravy like when done. No reason to dirty up another pot to thicken. Thanks for the recipe! So I am thinking of making this for Xmas dinner (since I can do a ham in the oven with it). I’ve often used recipes that call for a sear on the meat. Your picture looks like there is a sear, but nothing in the directions – am I seeing things? I was wondering what your process was to get the potatoes step that high and round? 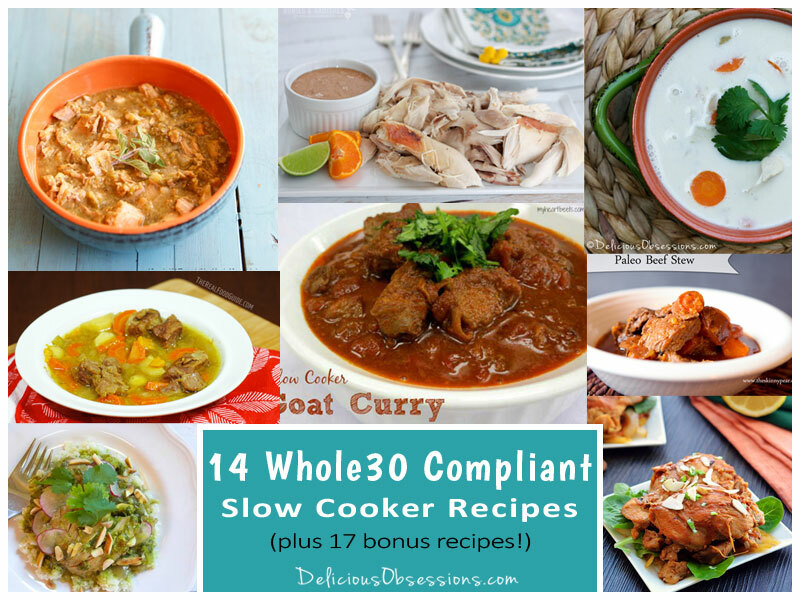 The link to Slow Cooker Freezer Recipes did not take me to a site where I could get the book. It went to “mamaandbabylove.com”. Could you check into that and repost of Facebook.